Discussions over new legislation to better protect police drivers have been stalled until March next year due to Brexit negotiations. Senior Government backbencher Sir Henry Bellingham, Conservative MP for North West Norfolk, put forward his Emergency Response Drivers (Protections) Bill on behalf of the Police Federation of England and Wales last month. It was due to have its second reading on 23 November, but Parliament ran out of time to discuss it after Sir Christopher Chope raised an objection. 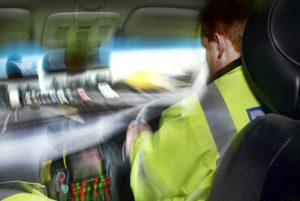 The Bill, which proposes increased exemptions for the emergency services from civil liability or criminal prosecution, has been put on the back burner due to Brexit negotiations. PFEW Pursuits Lead Tim Rogers told PoliceOracle.Com: “Roads policing officers are highly trained professionals who go to work and carry out these manoeuvres every day but that isn’t recognised in law. Mr Rogers said he hopes the Bill will gain Royal Assent by 2019 or 2020 and that Policing Minister Nick Hurd had given personal assurances that he remained committed to the issue – and will soon issue a ministerial statement confirming this is the case.